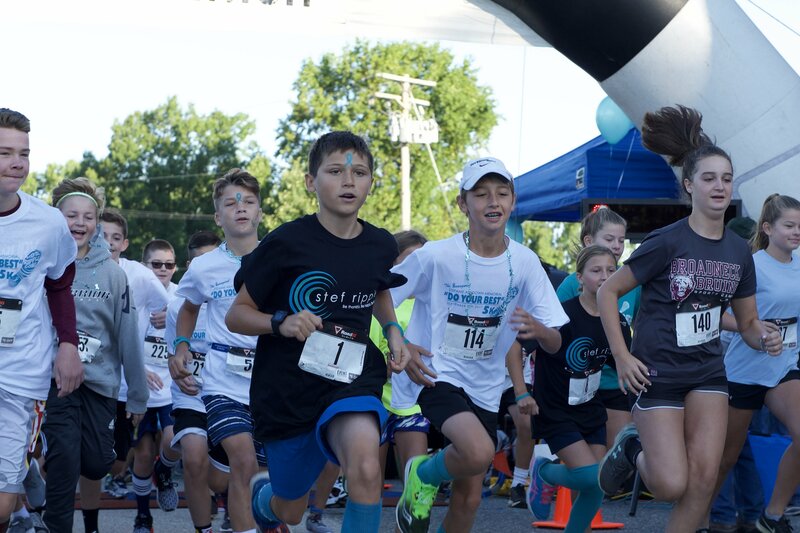 Inaugural “Do Your Best” 5k a success! It’s hard to believe that it has been one month since the Inaugural Stefanie Ashdown Memorial “Do Your Best” 5k! The turnout was amazing with more than 420 registered participants and raising nearly $17,000! When the idea of creating Stef Ripple became a reality we knew we would need the support of family, friends, the community and local businesses. The show of support for our first fundraising effort on Sept 9, 2017 was, simply put, amazing and heartwarming. The funds from this race will allow us to begin to see our mission become a reality. Big giant THANK YOU to everyone for coming out and especially our sponsors who helped make this happen! On race day our photographers, Wendy Preslan and Jen Lowe, captured the emotions of the day perfectly. Be sure to check out the race day photo gallery! **Photo downloads are free but if you would like to make a small donation you can do so via paypal. Thank you! It was truly an amazing event to be a part of! Missing Stef but what a way to celebrate her life and competitive spirit! It was a day to remember and another one of many involving Stef and her family. The blue sky, sunshine, the love in our hearts, smiles on so many faces in between the tears and general overall support of this great cause was unforgettable.